Facebook, Twitter and Google+ have become the main social media networks that businesses have adopted, but once set up, how do you make the most of these spaces? Facebook is approaching a billion users, Google+ is fast becoming the 'business' social network, and Twitter continues to rapidly expand. For enterprises, developing a comprehensive presence on these networks is a commercial priority. The world's most popular social networking site recently went through a major overhaul. Moving to the Timeline format, businesses now have more flexibility with how they present their brands. Think about how to use the large cover image (851 x 315 pixels) as creatively as possible. Don't just put your company's logo in this space, as this should be used in the smaller profile box for brand consistency across all of your business' online materials. Tell your Facebook visitors a story about what your company stands for and what it hopes to achieve in the future. Remember that Facebook is first and foremost a social network to engage with customers. Overt sales pitches should be avoided. Use the pin post area at the top of your business' profile page to shout about news, events and product launches. This area of your Facebook page draws a visitor's attention so spend some time ensuring these messages are as engaging as they can be. The customisable tabs that are now part of the Timeline offer a great opportunity to further customise your Facebook page. Think about what additional information your visitors might want and include this on a tab. And try and change this material regularly to keep your content fresh. Don't forget that Google can also see your Facebook page. Use keywords on your company about-us and info pages, ensure all images have alt tags and of course the best way to get a high ranking from Google is to always strive for the most engaging Facebook page your business can create. Twitter's meteoric rise has been nothing short of astonishing, there are now 10 million Twitter users in the UK. For business users having the ability to speak directly to their followers in real-time has allowed a personal dialogue to take place that all enterprises can use to expand customer engagement and advocacy. The background image for your Twitter page should be optimised to ensure it is engaging and loads quickly. Many businesses also use this space to display their basic contact information. Your Twitter profile should be detailed enough to give new followers all the information they need about your company. And pay attention to keywords, as this page will be indexed by visiting search engines. Connect Twitter to your business' other online activity. Place Twitter icons and buttons prominently on your website, blog and email signatures to allow new potential customers to easily find your Twitter account. Think before you Tweet. Messages that have no value will soon become a bore and switch off your followers. Ask yourself why you are sending a Tweet? What is its value to your followers? Track your Twitter account with the business services offered by companies like HootSuite and TweetDeck. Get used to regularly looking at the stats linked to your account to spot trends. Google+ is the new kid on the social media block, but has over the last few months been growing at a faster rate than even Facebook in the same period of its development. For businesses that have spent resources developing good SEO (Search Engine Optimisation) for their websites and that perhaps also use AdWords, having a business presence on Google+ is the next logical step. Just like your business' Facebook profile, your page on Google+ should have well-crafted images and text that give an insight into your business that visitors can appreciate. As you set up your page on Google+ try and make the information as detailed and engaging as possible. Use the +1 button to spread the word about your business' new social network. Google search results also now list +1 buttons, and you should take all opportunities to embed these buttons within your enterprises other online activity. It is now possible for visitors to jump directly to your business by using what is called a direct connection. Placing the '+' sign before your company name within a search will avoid the usual search results page and take that person directly to your business' website. 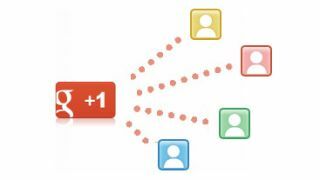 You need to activate Google+ Direct Connect by placing some code onto your web pages. Visitors to your social networks love to see images and videos so fill your Google+ pages with this content, but make this content relevant and ensure it supports your business' brand image. Sharing is the key with all social networks none more so than Google+ so when you post new content ask your followers to spread the word about the new content. Use Circles to connect with specific groups of followers regarding special announcements or events. Circles can be powerful for businesses as they allow followers to be segmented with specific marketing messages tailored just for them. There are of course many other social networks your business could use, but these three are the market leaders that all businesses should have a presence on. If your business allocates some time and resources to developing these spaces, you will find that they become an invaluable marketing tool, but also a way to make direct and personal connections with your customers – something that has simply not been possible in the past.